Students in Michelle Olivarri's third grade class celebrate getting the right answer on a computer game. As a master teacher at the San Antonio Independent School District, Michelle Olivarri gets a $15,000 stipend to teach at a school with a history of low student outcomes. 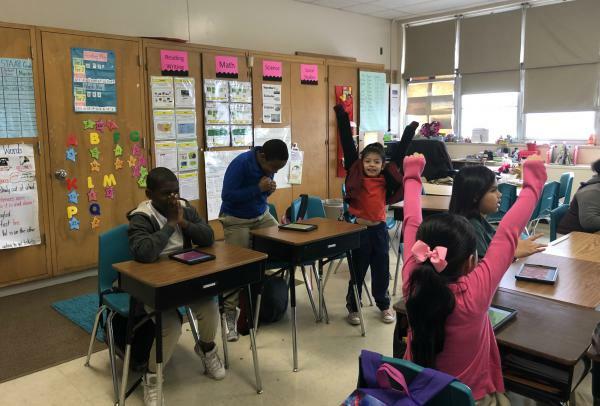 During a reading lesson in her third grade classroom earlier this semester, sounds of excitement blended with energetic music from a computer game on the parts of a story. “I’m in second,” shouted one student after filling in his answer on a tablet. TPR's Camille Phillips reports on the potential for educator performance pay systems to favor teachers from more affluent schools. Many of Olivarri’s students began the school year significantly below grade level. Because the district looks at standardized test scores when it hires master teachers, she’s not sure the district would have chosen her for the performance-pay program if she had applied using this year’s test scores. 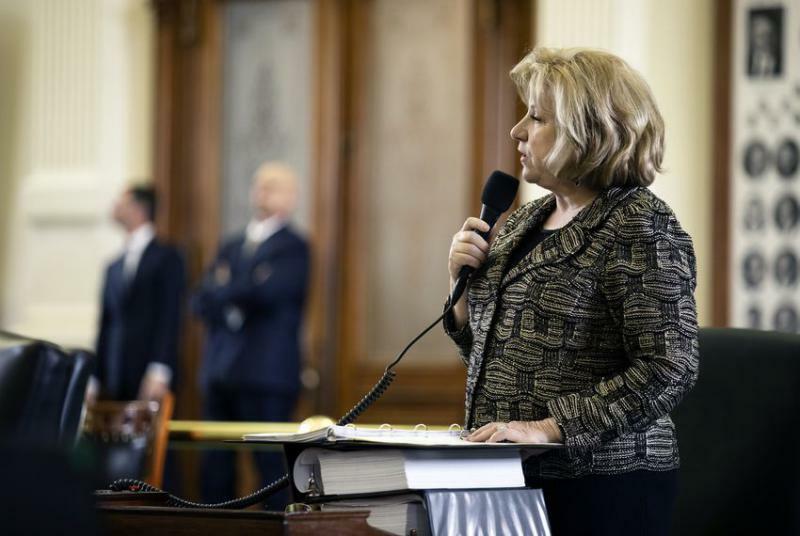 San Antonio ISD is one of a handful of Texas school districts that pays some teachers more based on their performance — a program that could get state funding if the school finance overhaul bill HB 3 becomes law. San Antonio’s version is intended to help recruit and retain high-quality teachers in the schools that need them most, but the criteria the district uses to decide which teachers qualify for the higher pay could favor teachers that come from more affluent schools. One way the district picks master teachers is by looking at how their students performed on the state’s standardized test. “The year before was higher than the last year, and then this year seems like it's, you know, there's, there's more of a struggle with this group. And, you know, I’m doing what I know I need to do,” Olivarri said. District leaders said the goal of the Master Teacher Program is to help students catch up academically. Applicants can qualify for the stipend is if their students show measurable improvement on their test scores, but when that data isn’t available, teachers can only qualify based on their students’ performance that year alone. That metric strongly favors teachers whose students come into the classroom already on grade level. It’s one reason why many teacher unions — and some parent groups — oppose performance-based pay. Louis Malfaro, the president of the Texas chapter of the American Federation of Teachers, said he’s concerned it could discourage teachers from working in struggling schools. “That in fact what's going to happen is they're going to be more perverse disincentives for teachers not to go to work in those schools,” Malfaro said. Research shows that, on average, students from low-income families score lower on standardized tests than students from wealthier families. A Texas Public Radio analysis of state accountability data found that same correlation. However, San Antonio ISD Deputy Superintendent Matthew Weber still thinks it’s important to use both metrics: student improvement and performance. He said he doesn’t think the district’s criteria runs the risk of favoring teachers who currently work at more affluent schools. Weber said test results aren’t SAISD’s only criteria. It also looks at teacher evaluations and requires two years of experience. He oversaw the launch of the Master Teacher Program two years ago, and he said the district is open to changing its selection qualifications if the evidence shows it’s needed. Still, he acknowledges that teaching in a high-poverty school can be challenging — and that teachers from more affluent schools have had a hard time adjusting when they come to SAISD. “Even if they have super evaluations and great scores, when they come into a high-poverty school they are not being as successful as the ones that we may have internally or the ones that we’re getting from surrounding districts,” Weber said. Researchers who study performance-based pay agree that having multiple ways of measuring teacher quality can help make them fairer and more effective. Springer is a co-author on a recent analysis of a decade’s worth of studies on teacher performance pay. It found that U.S. programs added about three weeks of learning. But as long as they’re tied to test scores, the potential to favor teachers with students from middle and upper class families remains. Goldhaber said even an imperfect merit pay system may be better than the usual way districts pay teachers — small raises based entirely on years of experience. If the House version of merit pay becomes state law, it would have several ways of measuring teacher performance, like Springer and Goldhaber recommend. But as it stands now, one of those measures would most likely be a standardized test. Camille Phillips can be reached at Camille@TPR.org and on Twitter at @cmpcamille. A city committee discussed on Monday the ways the city could do more to protect people with disabilities from the city’s 16,000 permitted electric scooters and dockless bicycles. The Disability Access Advisory Committee was created by city council and is made up primarily of disability rights advocates and individuals with disabilities. 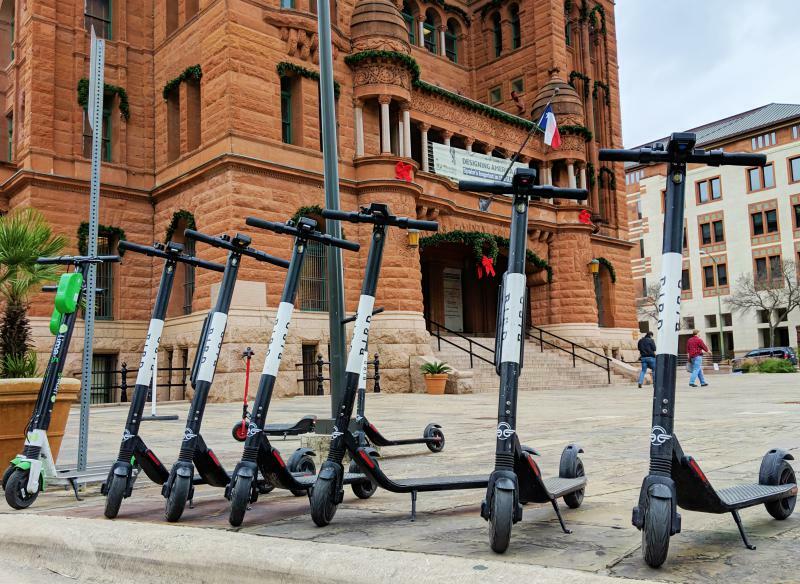 It wrote a list of concerns and possible fixes in a draft memo as the city’s dockless vehicle pilot program enters its final month. When third-grade reading teacher Natasha Boone told her peers she was considering a job at Titche Elementary School, a chronically low-performing school known for its low test scores and rowdy classrooms, they all asked, "Why?"